Today, the biomedical science industry is recognised as one of the key components of Singapore’s manufacturing sector, with the cluster responsible for a manufacturing output of S$23.7 billion in 2013. Comprising of the biopharmaceutical and medical technology sectors, the industry has been a source of high value growth for Singapore’s economy for a number of years now. After all, although the industry only employed one per cent of the resident workforce in 2013, it accounted for some four per cent of gross domestic product (GDP) for the whole year. In many ways, the present success is a result of Singapore’s economic foresight and industry support through the years. In 1999, life sciences was declared as the “fourth pillar” of the manufacturing sector. To help launch the nascent sector, Singapore sought out leading players in the biomedical field, attracting them to set up headquarters and offices here. At the same time, measures were also rolled out to catalyse the development of a strong Research and Development (R&D) ecosystem and advanced manufacturing base here. These efforts have been wildly successfully with seven in ten of the world’s top pharmaceutical companies manufacturing in Singapore, and more than 60 commercial-scale biomedical facilities based here too. The Republic is also engaged in a wide range of related activities for the sector, including R&D, drug discovery, and medical technology innovation, among others. In a media report, the Economic Development Board of Singapore (EDB) shared that its vision is for Singapore to become home to best-in-class manufacturing plants, making the highest value-added biomedical products. 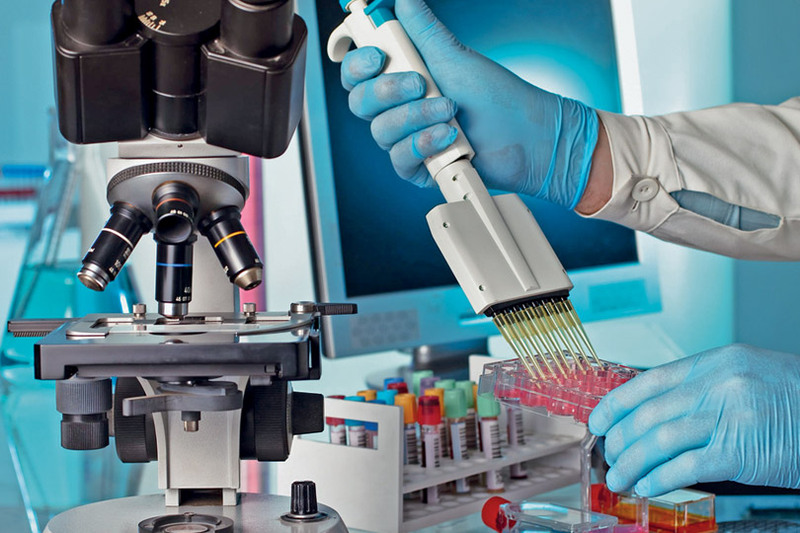 The business outlook for Singapore’s biomedical sciences sector is generally a bullish one. After all, while the biomedical market is only expected to see moderate levels of growth in developed economies, the emerging markets in Asia are an altogether different proposition, offering significantly stronger growth potential. In fact, the World Bank has already forecasted the middle class in Asia to grow six-fold from the current 500 million to three billion by 2030. It is this expanding middle class, coupled with longer life expectancies that will result in greying populations in many Asian countries. Countries such as Japan, Korea and Singapore itself are already at the advanced stage of this demographic transition. Such a shift will result in escalating demand for healthcare services and better medicines. A recent Economist Intelligence Unit report has found that businesses are looking forward to growth of around 15 per cent per year in the Asian biopharmaceutical markets across the next five years to a decade. The same report suggested that global biopharmaceutical firms will look to increase their Asian presence so as to tap the growing market, bring down production costs, and improve the efficiency of their R&D efforts. On the business front in Singapore, a quarterly survey conducted by the EDB and the Singapore Department of Statistics between June and July found that amongst manufacturers, the positive net weighted balance - the percentage difference between optimistic and pessimistic companies - was two per cent. This was a drop of three per cent compared to the previous survey done three months prior. Despite the more downbeat sentiments, the biomedical manufacturing segment has proved to be a beacon of optimism. In fact, a net weighted balance of 33 per cent of biomedical companies said in the survey that they were looking forward to better business conditions in for second half of 2015, making it the most optimistic cluster surveyed. R&D is critical to the biomedical sector, which is constantly looking to develop better medicines, new treatments and innovative medical technology products to meet the existing and untapped needs of the market. Singapore has positioned itself as an integrated biomedical hub, providing a one-stop location for companies to locate their R&D facilities and manufacturing plants. Over the years, Singapore has built up a flourishing R&D ecosystem with seven research institutes and five research consortia in key fields such as clinical sciences, genomics, bioengineering, molecular and cell biology, medical biology, bio-imaging and immunology. The government’s strong support for R&D, and the availability of the right biomedical talent has also seen more than 50 companies set up R&D facilities. Besides R&D, Singapore is also an ideal location for biomedical manufacturing facilities, with its strong physical and regulatory infrastructure, global connectivity and availability of skilled manpower. Companies such as Abbot, GlaxoSmithKline, MSD, Novartis and Pfizer have elected to base their manufacturing operations here, producing a wide range of products in areas such as pharmaceuticals, biologics and nutritionals. In the medical technology (medtech) area, Singapore is also home to more than 30 medtech firms which have set up their manufacturing plants to produce medical devices for the international markets. The Republic offers many advantages for these companies including key engineering capabilities that enable them to engage in product reengineering and scaling up of manufacturing operations. Singapore is also host to the Medical Technology Manufacturing Consortium, spearheaded by the government-funded Singapore Institute of Manufacturing Technology (SIMTech) — a research institute of the Agency for Science, Technology and Research (A*STAR) to reinforce local industry capabilities and establish medical technology R&D platforms. To further strengthen innovation in the medtech sector, the Government has also set aside a total of S$70 million to encourage the formation and growth of medtech startups in Singapore. The Singapore government has also worked to develop the ideal infrastructure facilities for biomedical companies to thrive. Located towards the western part of the island is Biopolis (at one-north), a state-of-the-art complex for biomedical R&D efforts. The Biopolis co-locates public sector research institutes with corporate labs, with the intent of fostering a collaborative culture. R&D teams can access state-of-the-art facilities, scientific infrastructure and specialised services, helping them to cut R&D costs significantly and accelerate the development timeline. For manufacturing, companies can locate their facilities at the Tuas Biomedical Park (for biopharmaceutical firms) and the MedTech Hub for (medical technology firms). Both sites offer plug-and-play environments, as well as shared facilities and services to help manufacturers reduce their overheads significantly. Companies such as Amgen – the the world’s largest independent biotechnology company – have been drawn in by the strong infrastructure and have invested in a new US$160-million next-generation manufacturing plant in Singapore. The innovative design allows for significant reductions in water and energy usage, while curtailing carbon dioxide emissions too. Skilled manpower is also critical for the success of these biomanufacturing facilities. In that, Singapore remains committed to developing a manpower base that is ready for manufacturing requirements of the future. The pharmaceutical and biotechnology manufacturing sector in Singapore is currently supported by a growing base of more than 4,800 skilled engineers and technicians. Companies can also access a workforce of more than 300,000 skilled employees in related sectors. Special attention has also given to high growth areas, such as the field of biologics, in which drugs are made by biological means. This sector is expected to add up to 1,000 new jobs in the next three to four years. In December 2014, a five-year Sectoral Manpower Development Plan was launched to increase and develope the workforce for this sector. At the launch of the plan, it was noted that the biologics manufacturing industry has attracted S$2.7 billion in investment over the past five years and that biologics manufacturing industry accounted for 20.5 per cent of Singapore’s total manufacturing output in 2013 – the second largest contributor after the electronics sector. One of the programmes under the plan is the Biologics Overseas Training (BOOST) programme, which seeks to send Singaporeans on training stints at overseas biologics manufacturing facilities. Besides BOOST, there are also other programmes like the Development and Apprenticeship (DNA) programme and the Professional Conversion Programme (PCP) for Biologics Associates, Engineers and Specialists. DNA will look to develop more than 300 Singaporean specialists, while Boost will add another 150 to the talent pipeline. The Singapore Workforce Development Agency (WDA) also shared that the Singapore Institute of Technology (SIT) will be launching Singapore’s first undergraduate programme in Pharmaceutical Engineering in September 2015. With the business outlook for the biomedical sector remaining strong in the midst of global economic headwinds, Singapore will be looking to build on its existing ecosystem to take the industry here to greater heights. In the coming years, the Republic will continue to be an attractive integrated biomedical hub for companies looking to greater returns on their R&D measures, while scaling up their manufacturing operations to service the growing needs of the Asian markets.